FORMER Old Mutual Zimbabwe chief executive officer Mr Luke Ngwerume and his business associates will get US$12 million loan from the insurance group to acquire a 3,5 percent stake in the company as part of the company’s indigenisation compliance transactions. Mr Ngwerume and his business partners, Mr Toddy Moyo and Mrs Tracey Mutaviri, will get the loan from Old Mutual subsidiary Central African Building Society through their investment holding company, Stiefel Investment (Private) Limited. Mr Ngwerume, who spent 29 years working for Old Mutual Zimbabwe, is now a non-executive director of its subsidiary CABS. Mr Ngwerume retired last year after seven years as chief executive of the insurance and property group. Mr Moyo is the chairman of CABS Midlands and Matabeleland Regional Board while Mrs Mutaviri is a non-executive director of Old Mutual Life Assurance Zimbabwe Limited. The trio would get the funding assistance to acquire a shareholding in Old Mutual Zimbabwe in terms of the insurance group’s indigenisation plan agreed with outgoing Youth Development, Indigenisation and Empowerment Minister Saviour Kasukuwere last year. “As envisaged and agreed at the time of agreement with the minister, the transaction requires loan financing and is to be funded by the company through its subsidiary CABS. “The purchase consideration for the shares is US$13 016 238 for 11 621 641 shares issued and fully paid up B Class shares at a price of US$1,12 per share,” Old Mutual said in a statement. Zimbabwe’s biggest insurance and property development company said a total of US$12,7 million would be funded by the company after Stiefel made a 2 percent down payment amounting to US$260 324. The loan would be extended over a period of 10 years at an annual interest rate of 13 percent while security will be the firm’s shares, representing Stiefel’s entire interest in its capital. The proposal to fund Stiefel Investments’ acquisition of shareholding in Old Mutual Zimbabwe will be put for consideration by members at an annual general meeting on October 1 2013. Old Mutual said capital repayment would be “Balloon on Maturity”, which is a lump sum payment for the entire loan amount paid at maturity of the loan after the full 10-year tenure. In addition, loan repayments would be on an annual basis starting at least eight months after the date of the loan disbursement and thereafter on each anniversary of the loan extension. Old Mutual moved a major step towards complying with the indigenisation regulations two years ago after agreeing to immediately localise 25 percent of its equity. Other big companies whose plans have been approved include Zimplats, Mimosa, PPC, Unkie and British American Tobacco. According to the agreement signed between Old Mutual and the Ministry of Youth Development, Indigenisation and Empowerment, the country’s largest insurer and property developer will release a grant to pensioners equivalent to 10 percent of the company. 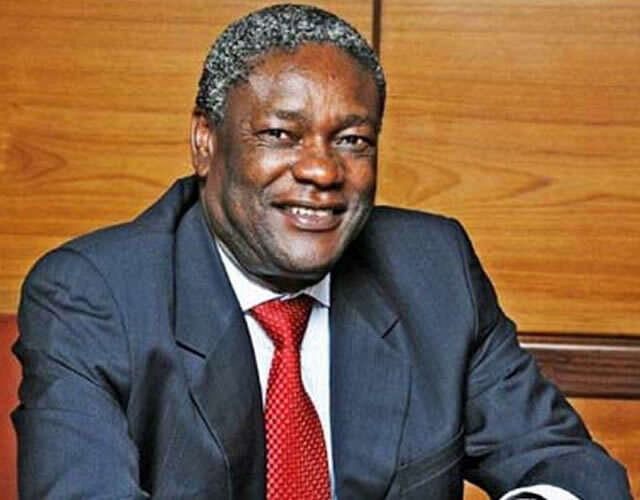 Employees will receive nine percent of Old Mutual shareholding for free while the group allocated the 3,5 percent to be acquired, on a commercial basis, by strategic local partners. A grant to the Youth Development Fund equivalent to 2,5 percent of the group valued at US$10 million and an additional US$1 million were to be made available from the Old Mutual Fund. The fund, to be disbursed through CABS, is jointly administered by the ministry and Old Mutual. Every province will benefit from the US$11 million funding facilities. Government will continue engaging Old Mutual on how it intends to localise the remaining 26 percent. Under indigenisation and economic empowerment laws, foreign-owned companies are compelled to localise at least a 51 percent stake to indigenous Zimbabweans. The policy is meant to bring previously marginalised black Zimbabweans into the mainstream economy.